Individual roller shutters. Versatile uses. keroll roller shutters made from aluminium, steel or stainless steel (V2A, V4A) are designed to be simple, flexible and especially durable. They are suitable, for example, for industrial buildings and logistics companies, for underground, large and private garages or for protecting shop windows and doors. There are numerous versions of our roller shutters, as the intended use is always decisive in the design process: single-walled or double-walled profiles, perforated sheet profile, with or without windows, with grille punches, foamed or coloured profiles, mill-finished, anodised, foil or powder-coated. Whether you are looking for complete systems with drives and controls, new curtains or individual replacement parts – let us advise you on the best solution for your intended use. 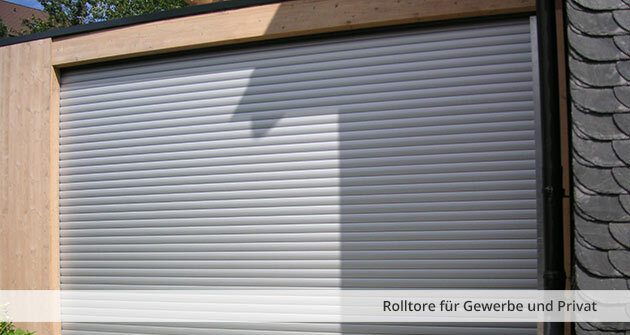 We guarantee that we have the right roller shutter for you! Various designs. Individually constructed. Durable quality. Roller shutters from keroll stand out for their excellent quality, high level of efficiency and the incorporation of high-quality components. Developing the right individual solutions is one of our strengths and is highly valued by our customers. Our gate systems are manufactured individually in accordance with customer requirements and performance specifications – this allows us to take into account the installation situation and other parameters. Durable, simply constructed, resilient, flexible, space-saving roller technology, hardwearing curtain, highly resilient, economical and high quality. Let us advise you – we look forward to receiving your performance requirements!